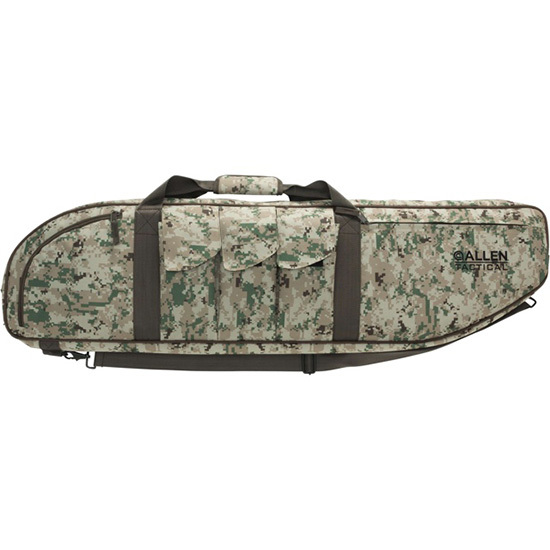 Allen 10807 Battalion Tactical Case Range Bag 43 x 3.5 in. x 10.75 in. Camo in. Allens Battalion Tactical Case features an internal pocket for your weapon three magazine pockets designed to hold two magazines each plus front and rear accessory pockets. It has an easytoclean polyester lining and includes a detachable shoulder strap and a padded handle grip.